Application Deadline // The application for the 2019 NVC has closed. If you have any questions about the application process, please send them to hannah.mannino@chicagobooth.edu. All currently enrolled graduate students at the University of Chicago are eligible to apply to the NVC as an individual or as a team. It is highly encouraged to submit an application to the NVC as a team with cross-functional expertise. 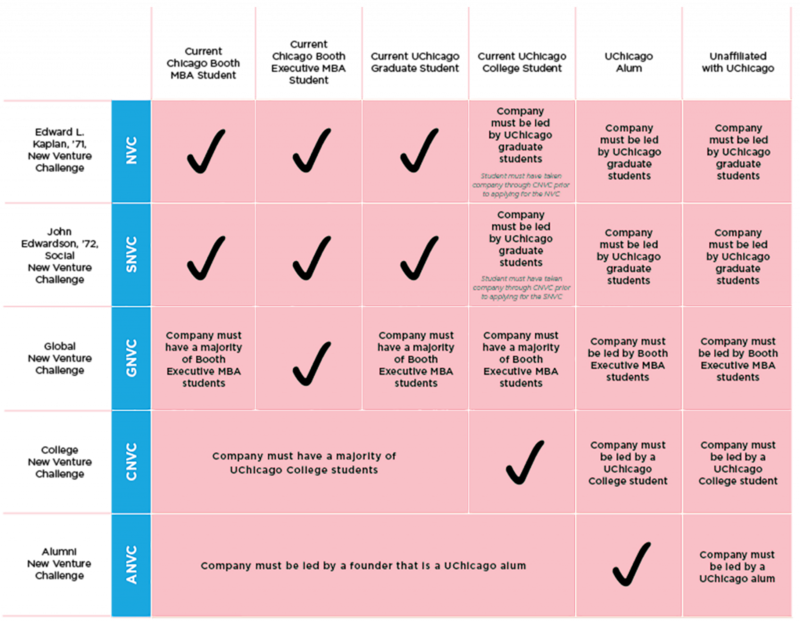 Alumni of the university and individuals not affiliated with the university are eligible to apply to the NVC as long as they have at least one current UChicago student as an integral member of the team (i.e., someone with a minimum of 10% equity stake in the venture). However, only current UChicago students are allowed to present in class and at the finals event; other team members may participate in the Q&A only.